Originally from Stapleford, Tina has an MA in Print Journalism from Nottingham Trent University, which is accredited by the NCTJ (National Council for the Training of Journalists). After university, Tina worked at The Nottingham Post as property editor. She then went on to work at a Nottingham based digital marketing agency, followed by other high profile agencies in the city. Tina founded Poppy PR back in 2010. Despite there being a recession at the time she has grown the business and it is now flourishing with two full-time members of staff and an office on the main high street in Ilkeston. Tina has a passion for supporting other women in business and has offered free social media seminars and advice to other female entrepreneurs. 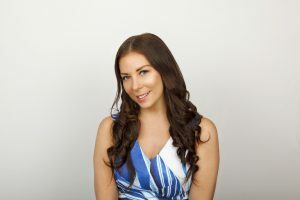 Driven solely by the view that more women should take a leap into the business community, Tina is passionate about others wishing to take the plunge into the world of business. Dislikes: Liver and onions, taking out the bins! Guilty pleasure: Watching The Housewives of Cheshire much to everyone’s disgust!